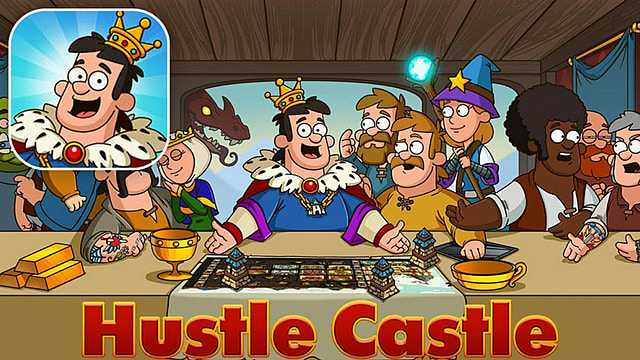 If you don't have enough hustle in your life, then Hustle Castle is the mobile game for you. Available on both iOS and Android, Hustle Castle is a medieval-themed RPG where you are lord/lady of the castle. Build up your castle, fight monsters, train your warriors, and rescue the princess all in one game. It sounds like a lot, but once you get started and get the hang of the game, then it's not too hard to keep track of everything. Here are some tips to keep your game moving in Hustle Castle. When you start the game, you're given a ton of blue gems for free. It's easy to spend them all right away training your warriors, upgrading rooms more quickly, and expanding your castle. But avoid spending them in the early game! You'll reach a point where you'll need a ton of gold for the next upgrade (for me it was the Level 2 cellar). Instead of grinding, use the blue gems for those moments so you can upgrade your throne room (and everything else) much more quickly. As you upgrade your throne room, new rooms open up that you can add to you castle. 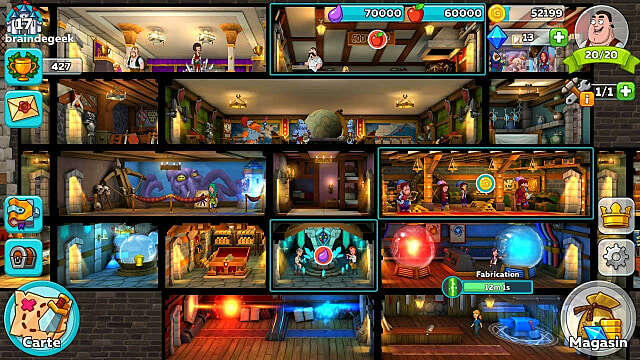 As soon as you can, add the new rooms, especially the fighter training room, the hospital and the magic workshop. The fighter training room is where you level up your warriors, allowing them to wear stronger armor and use better weapons. The hospital recharges health faster, which is great for the grind. The magic workshop is where you can create spells that can be cast during battle. The spells are incredibly helpful, as they are the "last little bit" needed sometimes for your warriors to win the battle. Besides the main story of following the princess's trail and killing the monsters along the path, there are also invasions and enemies. Invasions are monsters that make their home in previous levels. Going back and defeating them not only gives you a reward for each win, but beating the entire invasion in the time allotted also grants a reward. The enemies, also known as other players' castles, will show up randomly throughout the map and will have varying levels of difficulty. Each one you can beat earns a reward. Unlike the invasions, there's no time limit to defeating these enemies, although the exact player will change and the positions will move around the map. The living room allows two NPCs -- one man and one woman -- to live together. After a little while, the woman gets pregnant and has a baby, who eventually grows up to become a useful member of the castle. Once you unlock the living room, the game provides a player with a couple to start. But once the child is born, the couple will not bear another. Switch them out as soon as you can with two new people until your castle is full. As you make your way through the game, there will be fewer and fewer opportunities to find new people to join your castle as a battle reward. Overall, Hustle Castle is a fun, casual mobile game that doesn't require you to spend money in order to progress; players can easily get through the game (although not nearly as quickly) without spending a dime. Hopefully, the tips in this article make it easier to defeat those bad guys who had the nerve to kidnap the princess!